Dr Andrea Pickering is a very highly experienced Clinical Psychologist who specialises in paediatric clinical neuropsychology. She is a clinician, lecturer and expert witness working with mental health issues in children and young people with complex family problems. She has a Doctorate in Clinical Psychology and a Post Graduate Diploma in Paediatric Clinical Neuropsychology and is a Fellow of the British Psychological Society. Dr Pickering works with children with traumatic and acquired brain injuries and their families, as well as children with complex medical and/or developmental conditions. She provides specialised clinical neuropsychological assessment, interpretation and intervention and psychological interventions for emotional and behavioural problems, including CBT, EMDR and Applied Behavioural Analysis. Dr Pickering has extensive experience and skill in working with individuals with ASD and learning difficulties. 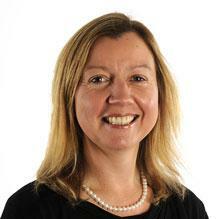 She provides a range of advice and consultation on all aspects of ASD. She is very skilled in screening, assessment and diagnosis of ASD across the age range and is trained and experienced in using a range of assessment tools such as the ADOS, the Autism Diagnostic Observation Schedule. Dr Pickering supports young people and their families using Systemic Therapy and Solution-Focused Approaches to mobilise coping strategies. Andrea is an extremely warm and personable clinician and we are delighted to recommend her to patients and their families. You don't need a GP referral to see Dr Andrea Pickering.